Artsy Ant Alphabet Art Adventures is a unique children’s book with fun, inspiring stories written by Sandy Harper and cool illustrations by Scott Howard (the creator of Artsy Ant). Come along with Artsy Ant as he leaves The Hill for the very first time to chase his dream of helping others. 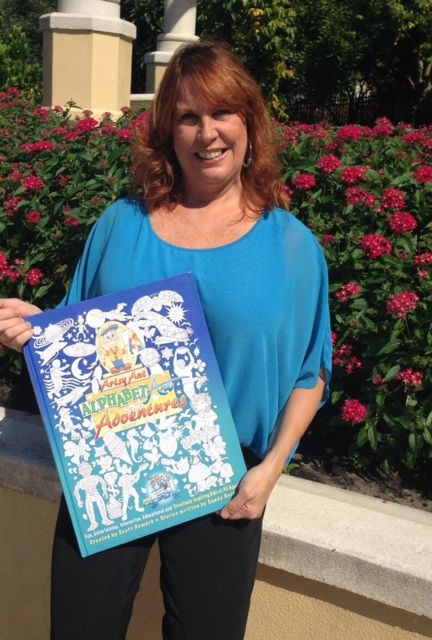 You’ll love the exciting adventures and positive lessons as Artsy visits interesting places like The Jungle, The Park, and The Enchanted Forest. And, you’ll be delighted to meet his many, wonderful new friends along the way — from Austin Alien to Zoe Zebra! 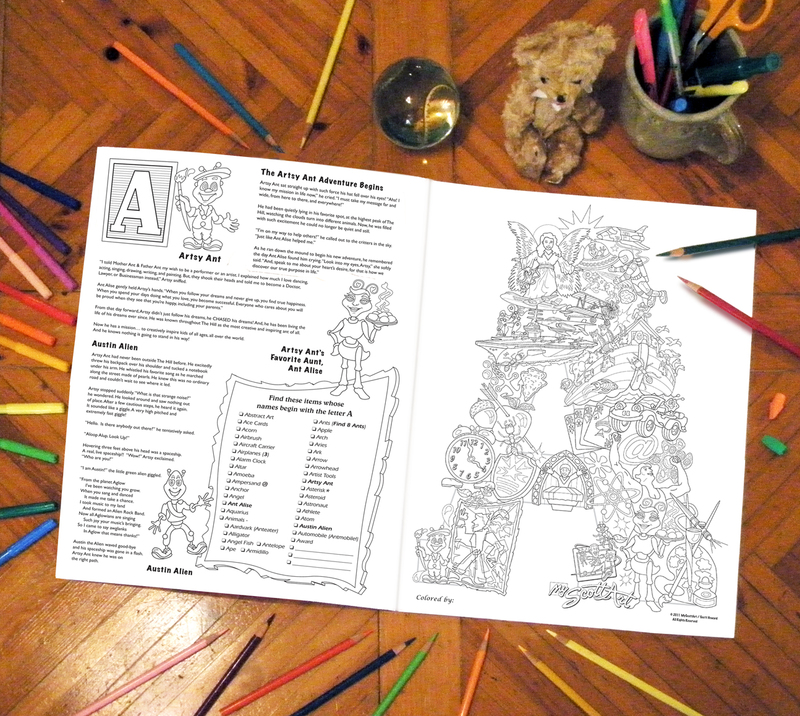 In addition to offering entertaining and empowering stories, Artsy Ant Alphabet Art Adventures is a great educational tool. It features each letter of the alphabet, made up of seek-and-find objects that start with that letter. You can even color each object after you find it and look for Artsy within every letter! While it’s designed for ages 5 – 14, this book is great for ALL ages. Younger children will delight in the fun stories (and it’s never to early to start teaching such solid life-lessons as a love of learning, making friends, showing gratitude, living healthy, accepting others, being kind, working hard, believing in your dreams, and more). Older kids will love how the interactive artwork, throughout the book, brings out their creativity. Adults will enjoy how therapeutic coloring can be! This wonderful book will provide hours of coloring fun and inspiring reading. It is sure to become a treasured keepsake. 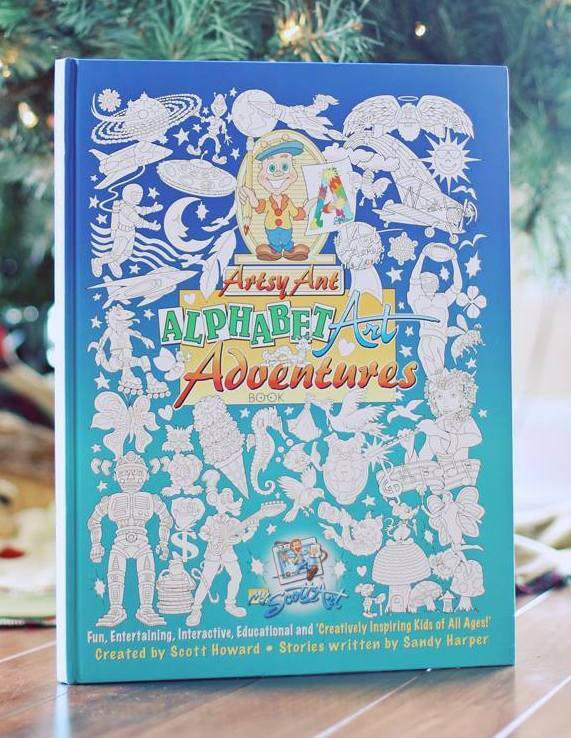 Order your copy of Artsy Ant Alphabet Art Adventures now and it will be personalized and autographed by the writer, Sandy Harper. I am so excited to see your book! I ordered 2! Just started reading it. What an AMAZING job that you and Scott did. This will bring phenomenal, exceptional value to the lives of millions of children and their parents!! Sandy, I just started reading it. What a phenomenal and amazing job you and Scott did. This book will bring exceptional value to the lives of millions of children and their parents. Well done!! Wow! Thanks so much, Bob! I just ordered one. I sooooo look forward to getting it.